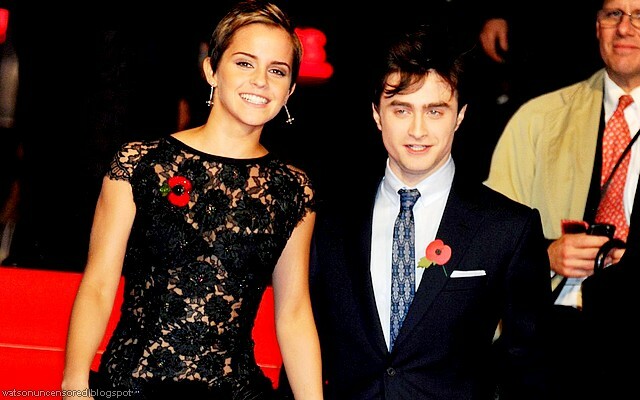 Emma Watson Updates: Daniel Radcliffe: "Emma Watson is driven, socially conscious, and highly articulate"
Daniel Radcliffe: "Emma Watson is driven, socially conscious, and highly articulate"
Many of us who grew up with Emma Watson as the glamorous female lead of the “Harry Potter” movies might have been just a little bit surprised when she morphed into a celebrity feminist icon, most notably as a United National Women Goodwill Ambassador. Most actors her age, after all, tend to spend their time striking while the iron is hot by doing five movies a year, instead of preparing incredible speeches about gender equality for a room full of suits. One person who wasn’t remotely surprised by Emma’s transition into advocacy, however, was the Boy Who Lived himself: Daniel Radcliffe. In other words, she’d make Hermione (and Crookshanks) proud.